A more exotic location on our Roadshow is Nairobi, Africa. The event will be organized 22nd- 23rd March. 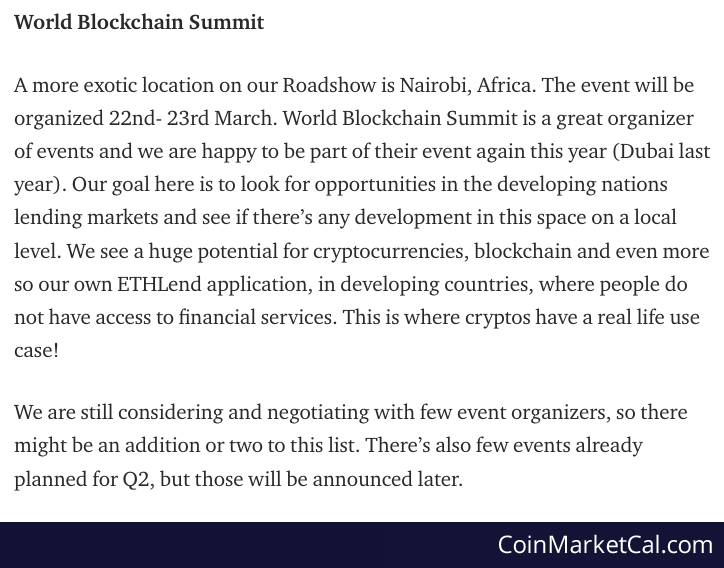 World Blockchain Summit.